Willie Grayeyes and Kenneth Maryboy have made an historic step from the past. Now the new American Indian majority on the San Juan County Commission have to make the future work. Votes are still being counted, but it appears Grayeyes will join Maryboy and Bruce Adams on the commission. 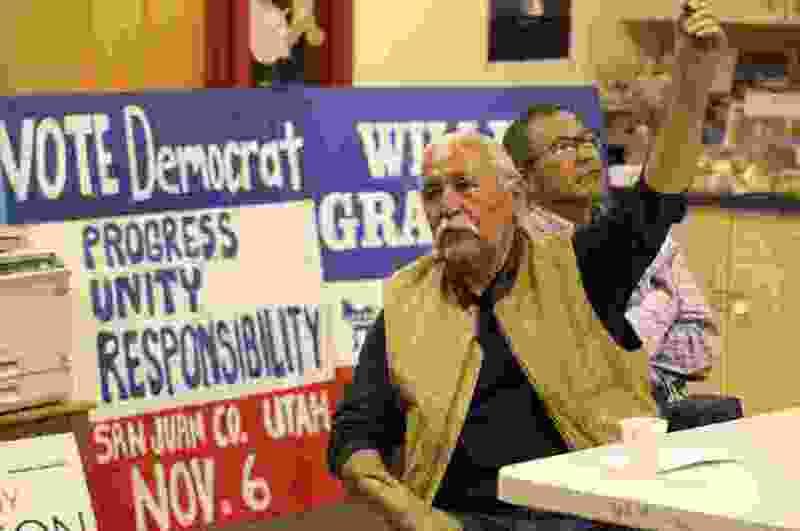 Grayeyes and Maryboy are Navajo, and it will be the first time since statehood any Utah county has been controlled by a non-white majority. American Indians make up a little more than half the county’s population, but it took a federal court to force the county to draw its electoral districts in a way that didn’t favor the mostly white residents at the north end. There even was talk of a criminal investigation after it was determined that Nielson relied on a backdated complaint to justify Grayeyes’ removal, but that didn’t stop Nielson from winning re-election Tuesday. Now, Nielson and Grayeyes will serve in the same county government. There is a long history of segregation in San Juan County. Maryboy and Grayeyes have been treated as second-class county citizens, and now they must join Adams to be uniters. The state of Utah absolutely owes it to San Juan County residents to give this legitimately elected government every tool of support. We're here because the state allowed the county to systematically deny equal representation for decades. One way to help would be to negotiate a settlement to the Bears Ears National Monument lawsuit with the five tribes that pushed for it. The state’s opposition to the monument (and support for President Trump’s dismantling) was based on the argument that a majority of locals don’t want it. Well, they do, and the election of monument proponents Grayeyes and Maryboy is proof of that. The events of this week are long overdue, but this change of power will not by itself address the culture of separation in San Juan. Grayeyes, Maryboy and Adams must find a path to shared governance. Utah has never been here before.